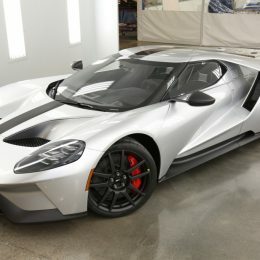 Ford is showing the ultra-lightweight Ford GT Competition Series for North America in Daytona, the site of its win at the Rolex 24 in January. 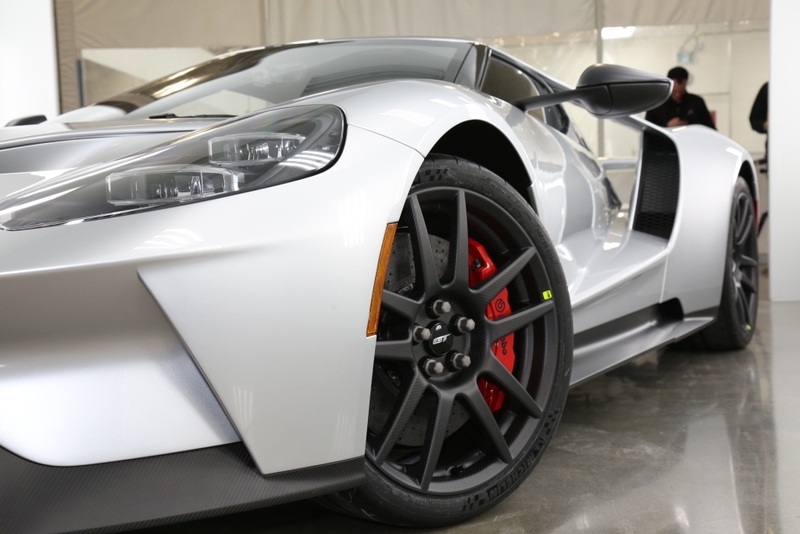 The Ford GT Competition Series was engineered to build on the car’s innovative lightweight and aerodynamic design. 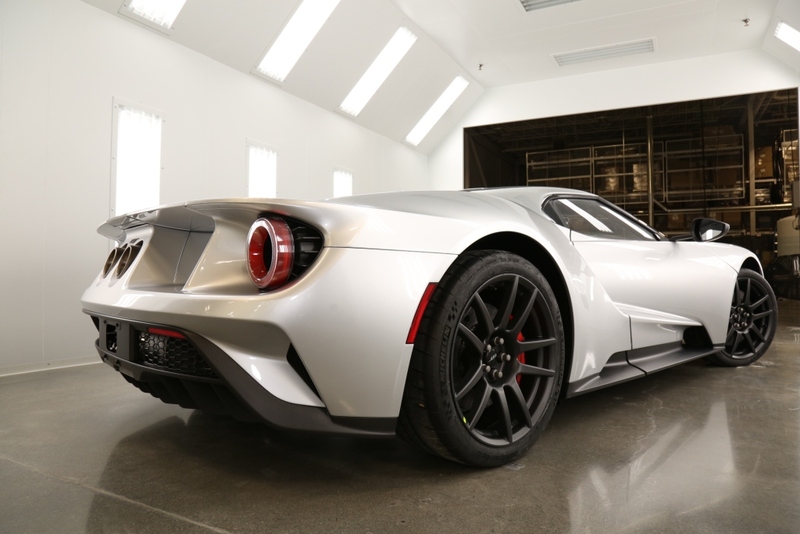 The track fans’ ultimate production car removes weight higher in the vehicle and shifts the center of gravity closer to the track for even better road-holding, and to maximize its 647 horsepower engine. 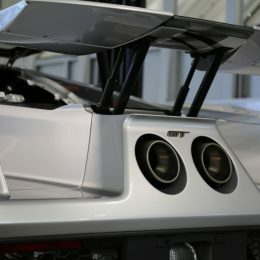 For example, the innovative lightweight, race-inspired Perspex® acrylic engine hatch cover with manual latch and carbon fiber prop rod reduces weight near the roof and shifts the balance of weight lower in the car. 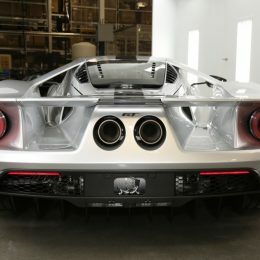 Similarly, the bulkhead Gorilla Glass® behind the driver is about half as thick – and lighter – as on other models. 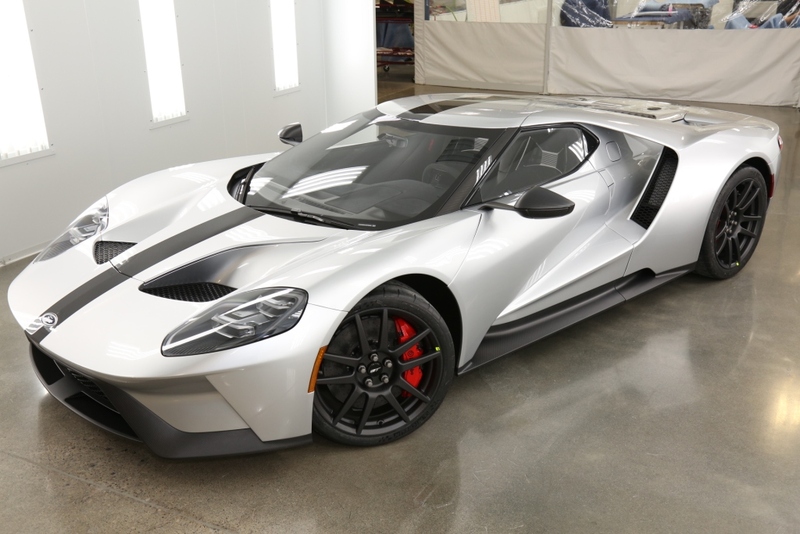 All performance features from the standard production car remain, including the FIA-certified steel roll cage and active aerodynamic system. Items not essential to performance – including air conditioning, radio and speakers, stowage bins and cupholders – are eliminated. 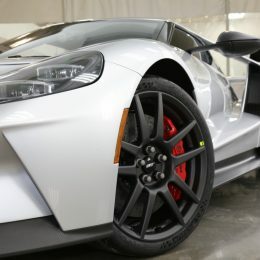 Weight-reducing optional equipment – such as performance-enhancing carbon fiber wheels, and titanium lug nuts and exhaust – are standard on the Competition Series. 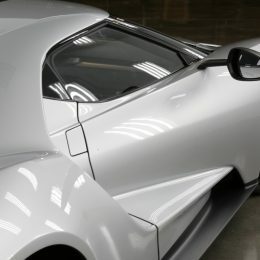 The Competition Series also looks the part with unique gloss carbon fiber stripe, mirror caps and A-pillars, as well as exposed carbon fiber lower body trim in matching gloss finish. 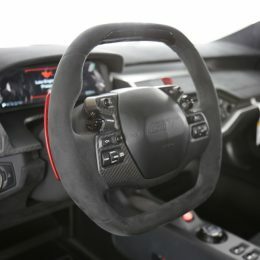 Inside, the Competition Series maintains the lightweight interior and keeps the same driver-centric elements of other models, including the F1-styled steering wheel with key functional controls. 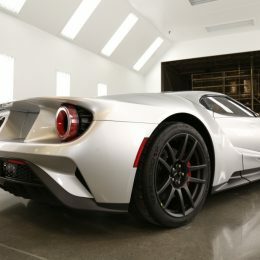 Ebony Alcantara® suede is used on the seats, instrument panel and headliner. 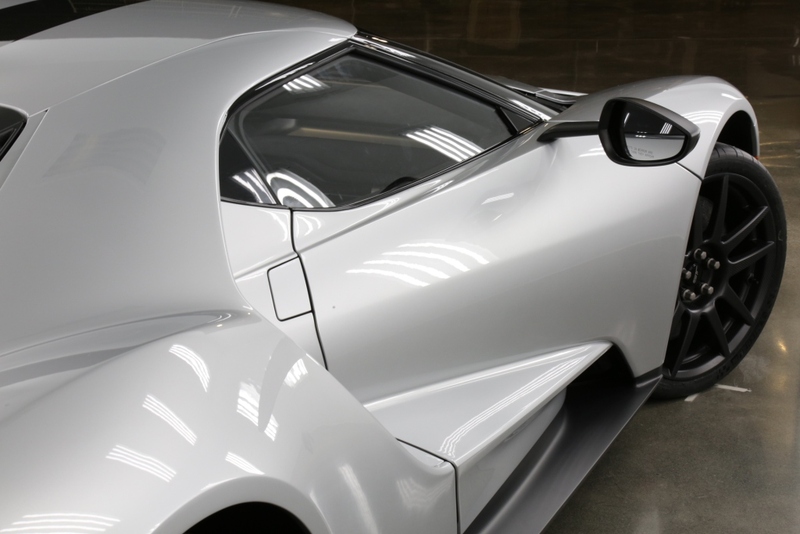 Exposed carbon fiber accentuates the console, registers and door sills. 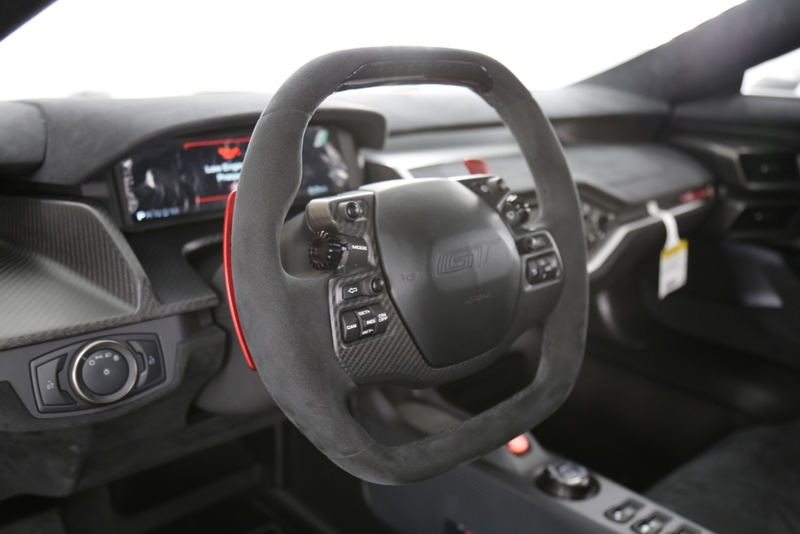 Anodized red paddle shifters and instrument panel badge bring accent color to the cabin, while a unique center console plate and steering wheel fascia account for the deleted infotainment controls and screen. 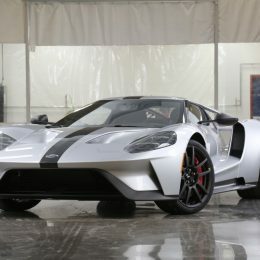 The Competition Series is offered in six Ford GT colors – Shadow Black, Frozen White, Ingot Silver, Liquid Blue, Liquid Grey and Triple Yellow – and is available in North America for all announced production years. 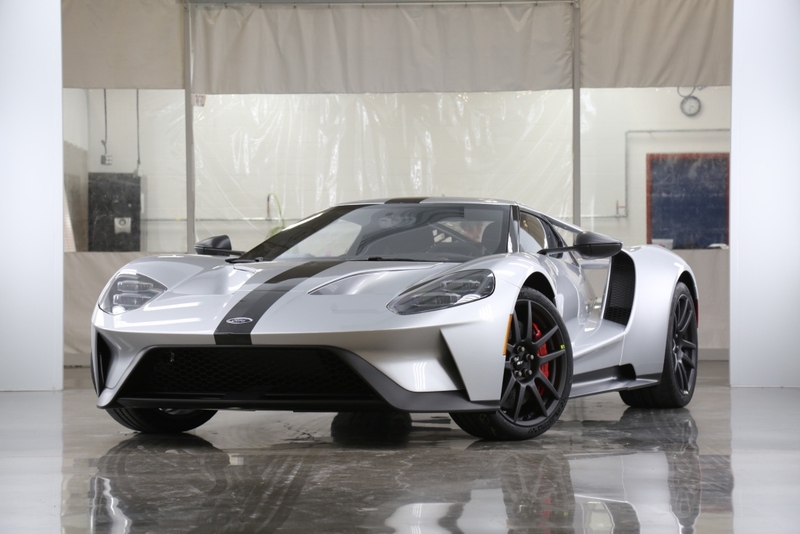 The car will headline Ford’s large display – alongside its broader lineup – outside Turn One at the Daytona 500 this weekend.